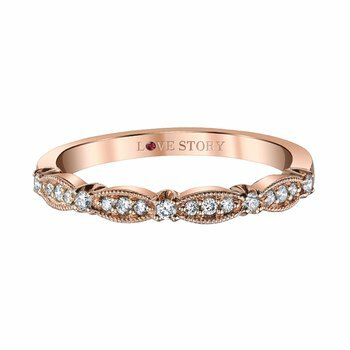 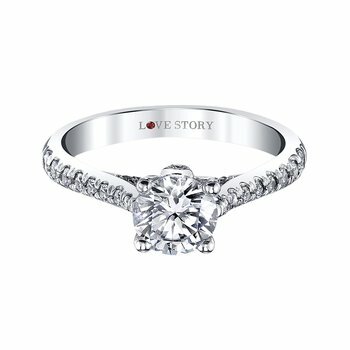 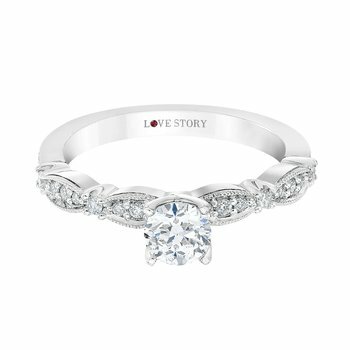 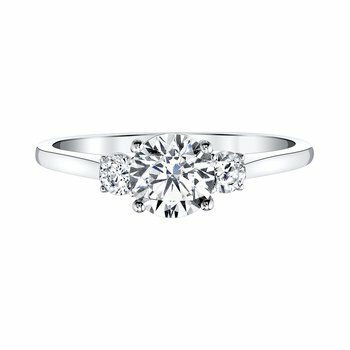 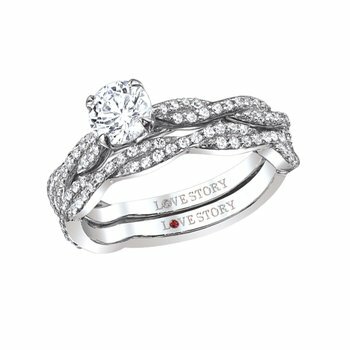 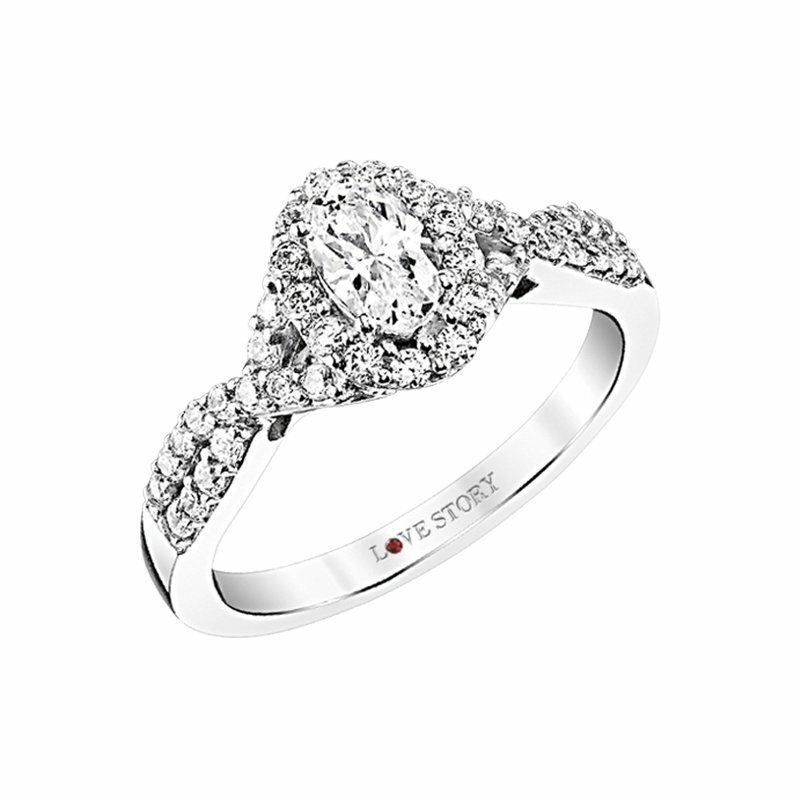 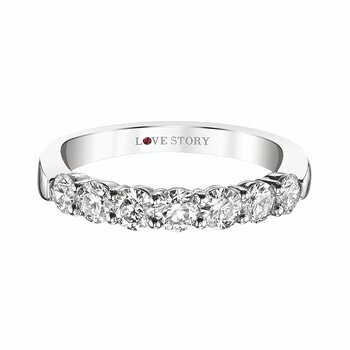 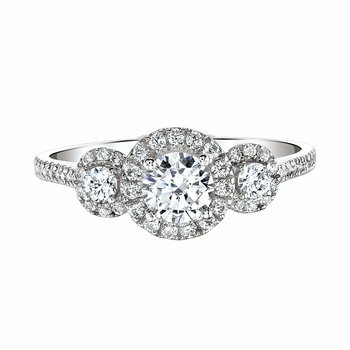 From the Love Story Collection, this gorgeous engagement ring exudes fairy-tale romance. 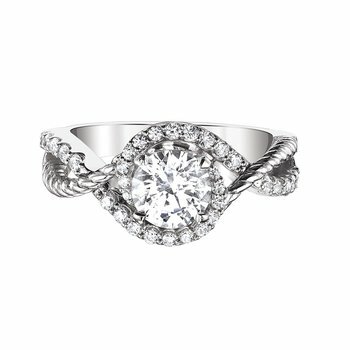 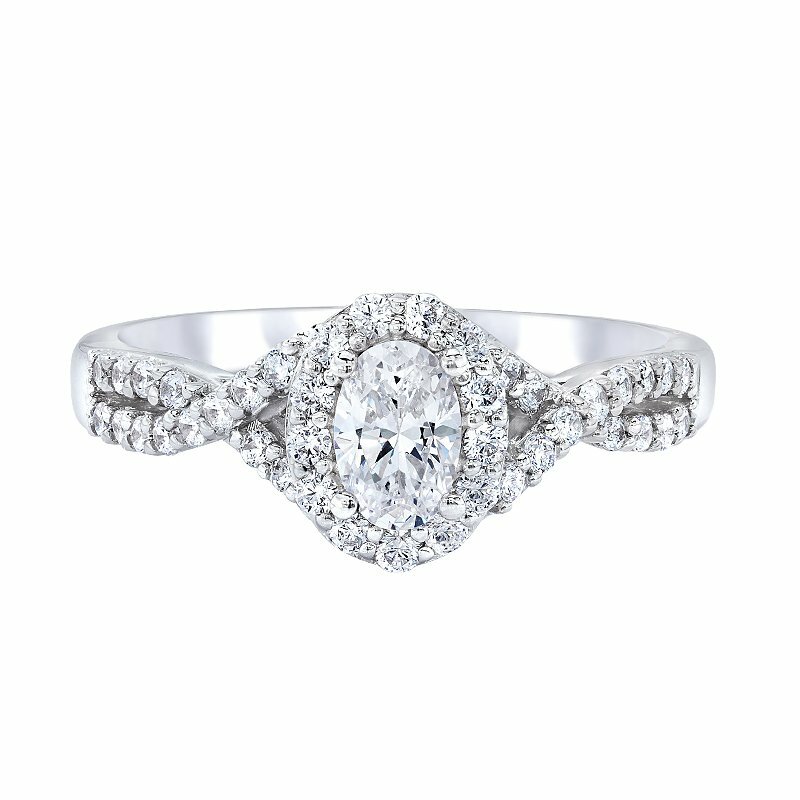 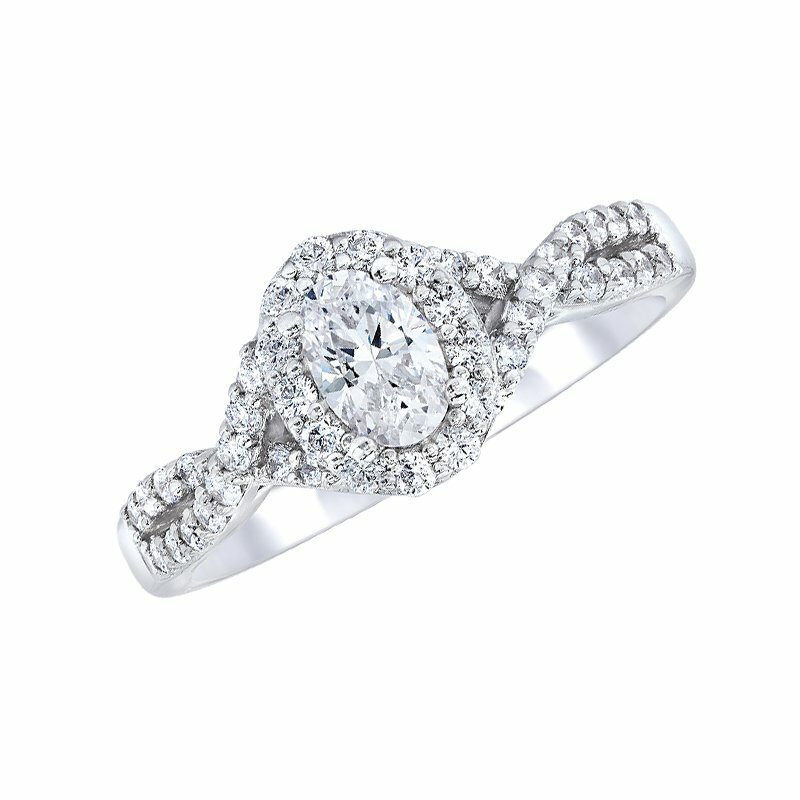 Its 14 karat white gold band curving in twists of twinkling diamonds surrounding a dazzling oval-cut center diamond. 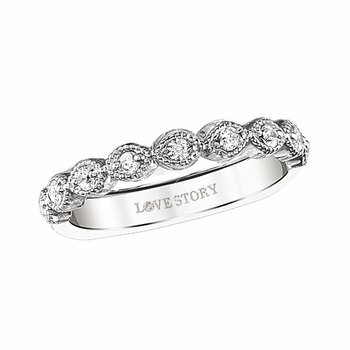 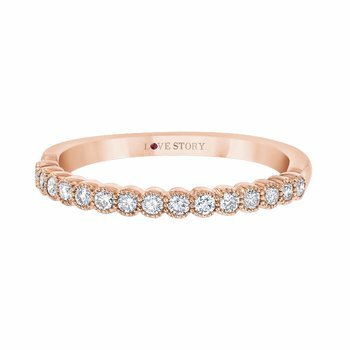 The signature Love Story logo and ruby is embedded in the shank for a hidden message.